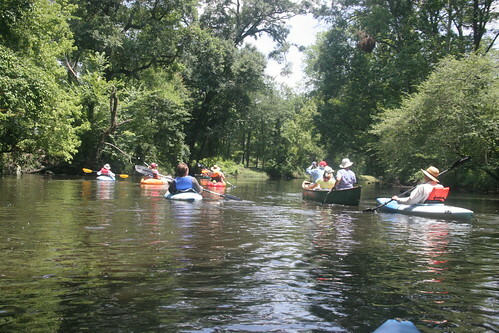 The last fun group paddle on Bayou Fountain and Bayou Manchac filled up so quickly, we didn’t have a chance to get the word out very far. Well, let’s do another trip. When: Saturday, June 27, starting at 9am and ending around 1pm. Length: Six miles and change, all downstream; 3 to 3-1/2 hours, approximately. We have extra canoes and kayaks available by request for those who don’t have their own. We can also help shuttle as necessary, and we’ll have someone at Highland Road Park by 8am if you’d like to drop a boat off and pre-shuttle a vehicle to Manchac Park. If you have any questions, need shuttle details, or don’t have your own canoe or kayak, just email and we’ll get you set up. PaddleBR membership is welcomed but not required to join us on our fun group paddles, and if guest paddlers would like to make a small $5 or so donation to help support PaddleBR, that is certainly appreciated but also not required. PaddleBR’s mission is to promote awareness of, access to, and conditions on our local waterways. Just bringing more people out to experience our wonderful bayous is enough to make us happy; any additional support is pure lagniappe.